We're delighted that Amélie Rouvin and Carmel Dollison will be joining us at Powering the change. Amélie Rouvin, Environment & Circular Economy Manager, Veolia, was responsible for defining the environmental objectives plan for Veolia for 2020 and was in charge of the coordination of the Paris Agreement, COP21 on climate change, for the Veolia Group. She is also the Liaison Delegate for Veolia at the World Business Council for Sustainable Development. 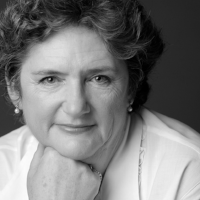 Carmel Dollisson is CEO of the Australia and New Zealand Recycling Platform Limited (ANZRP), which operates the industry funded TechCollect TV & computer recycling program. ANZRP focuses on responsible recycling to achieve sound environmental outcomes. At Powering the change, Carmel will share how her founding companies – including Canon, DELL, HP, Fuji-Xerox and IBM – are working together with councils, recyclers and other take-back programs to ensure at least 90% of the commodities recovered from the e-waste collected and dismantled across Australia are used as raw materials in the manufacture of new products.